Burgundy PVC Vinyl Privacy Fence is here! Beat the Joneses with this Grand Illusions Color Spectrum Burgundy PVC Vinyl Privacy Fence from Illusions Vinyl Fence. Awesome backyard ideas don’t grow on trees. In fact, this idea is saving trees! They’re created with your best wishes in mind! 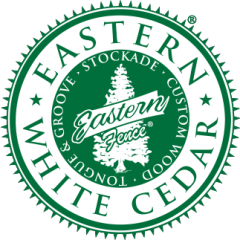 You’ve always thought you’d love a beautiful painted wood fence that you don’t have to maintain and will last for years and years. Sadly, they don’t make a real wood fence like that. But now, through the magic of Illusions Vinyl Fence, you get exactly what you’re looking for. Grand Illusions Color Spectrum looks just like a painted wood fence without the maintenance! 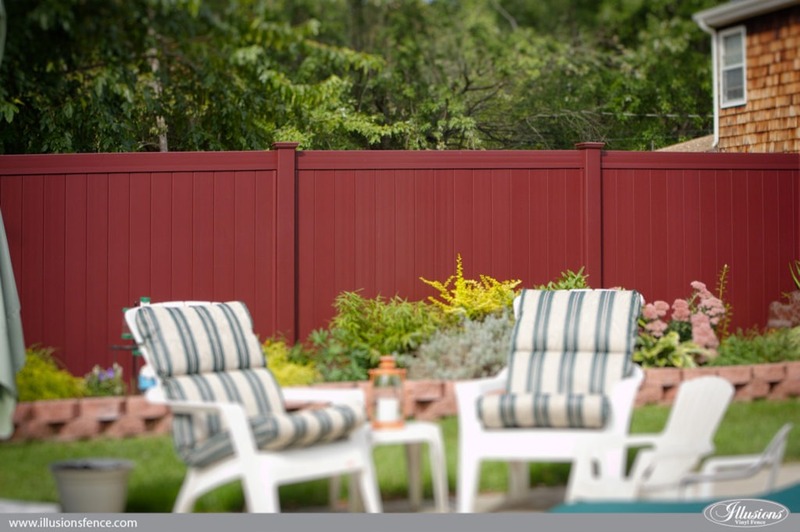 What’s another great reason to put up a beautiful Burgundy PVC vinyl privacy fence? CONVERSATION PIECE! Do you entertain? Do you like to have summer parties with the neighbors? Do you like taking a walk around and showing people your most recent projects or updates? This is perfect. You’re neighbors will be asking where you got that fence! Another reason? POOL SAFETY! This is a 6′ high privacy fence. Don’t be fooled by how attractive it is. It’s also private and well over standard pool fencing height. Need another reason? BLENDABILITY! (Is that a word?) It’s not white! Colors blend into the background. They allow you to work with your landscaping to create outdoor living spaces that actually match or contrast their colors. White jumps out of the background. Darker colors blend in. IT’S JUST COOL LOOKING! Face it folks. This fence is seriously awesome looking. We’ve seen white, gray, and beige fences forever. Time to shake things up a bit. There’s nothing wrong with the old school colors at all. They are wonderful, comfortable, and time tested. They are burgers and dogs at a BBQ. They are spaghetti and meatballs. All terrific. But wouldn’t you like to step it up and go for some sushi or a nice NY strip steak with asparagus and garlic mashed potatoes once in a while? Make sure to check out the Illusions Fence Photo Gallery for more images of beautiful Grand Illusions Color Spectrum and Grand Illusions Vinyl WoodBond Fencing products.